Its true – rain, hail or shine – there’s always a party you can attend at Bingo Street – and you don’t have to dress up either! Loads of bingo games to choose from too. And it doesn’t matter whether you are either a modernist or a traditionalist! 90 ball bingo or progressive jackpots (such as Bingo Street’s open house) or 75 ball games – there is always a game to suit you. 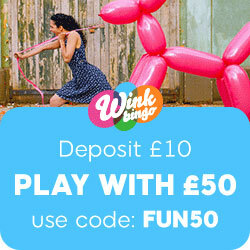 But – if you need to take a stroll away from bingo for a while, there is a great alternative with their instant win games (plenty of winning action with these)! Swedish Bingo – also know as 5 line bingo is a fast paced game. Cover those lines either horizontally or diagonally – it doesn’t matter which! You can win with their 1, 2, 3, 4 or 5 lines. Play too a combination of 5 line bingo and other games – in other words mix and match at Bingo Street! Don’t be fooled though this game, which actually looks like an ordinary 75 ball game is actually a 90 ball game – note the middle square is not free! Both 75 and 90 ball progressive jackpots are available for play too (respectively referred to as the street party and open house). With the first one cover your pattern in 22 calls or less and with the second cover your full card in 37 calls or less to win! Then there is the 5 line progressive jackpot – referred to as the 5 line lolly! This can be won in the fruity fives room (located under the bingo hall tab) daily but you do need to bingo in 51 calls or less to score! Every day, every week and every month of the year, there are pre-buy guaranteed bingo jackpot games available for your participation. The main beauty of these games naturally, is that you can grab your cares well in advance (ie when its most convenient for you). What it says is what you win too. If you score with the £50 deal of the day game for instance – that’s the amount you win – ie £50! This entry was posted in Online Bingo News and tagged Bingo Street on October 11, 2012 by SuperAdmin.